Increased scrutiny of Milk Powder and Infant Formula production Plants, has seen the need for higher levels of both cleaning and hygiene. 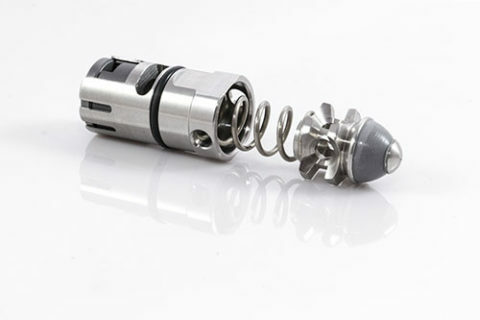 One of the most critical parts of the production process is the Spray dry Nozzle System. Spray Dry Nozzles are precision components and small in size. 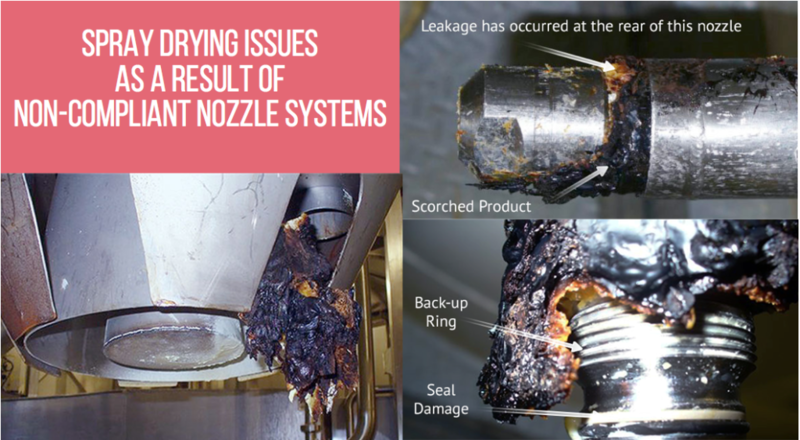 Nozzles that are not properly maintained can affect powder quality and cause unnecessary contamination. The components can suffer damage during operation and cleaning. Build-up of burnt liquid inside the cap chamber, outer edges of the cap or near the threads is a common problem. CLICK&DRYTM Spray Dry Series by Spray Nozzle Engineering have made cleaning and hygiene in this area easier and safer. The CLICK&DRYTM Spray Dry Nozzle system is designed with improved cleaning and maintenance in mind. 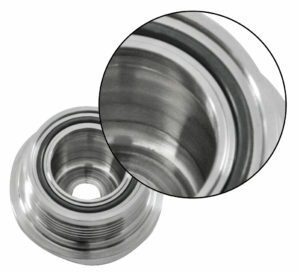 With its Smooth Cap Chamber Technology, all CLICK&DRYTM Spray Dry Nozzle Caps do not use O-Ring sealing grooves in the cap, thanks to the revolutionary Push Fit CCT (Concentric clasp technology). 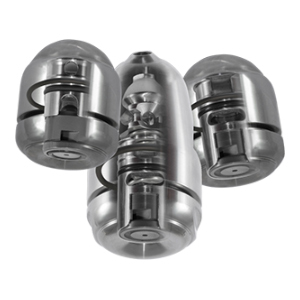 Hygiene is improved with a totally smooth and easy to clean Cap chamber design. Added to this is CLICK&DRYTM’s Easy Clean Large Thread system, a standard feature that makes the CLICK&DRYTM Spray Dry Nozzle system one of the safest and easiest to disassemble. If heavy product adhesion is a problem, the CLICK&DRYTM can be ordered with optional Screw Clasp Technology, giving you easy removal, without wear part breakage. Engineers at Spray Nozzle Engineering have perfected CLICK&DRYTM spray dry series to address all areas of performance including easier cleaning, productivity, powder quality, faster change-outs and long term cost savings. They are so confident with the CLICK&DRYTM products, the team at Spray Nozzle Engineering even offer a generous guarantee cover: 1 year wear part wear, 2 year wear part breakages and 2 year thread galling on the Mini Nozzles/4 year thread galling on the SuperMaxi Nozzles. 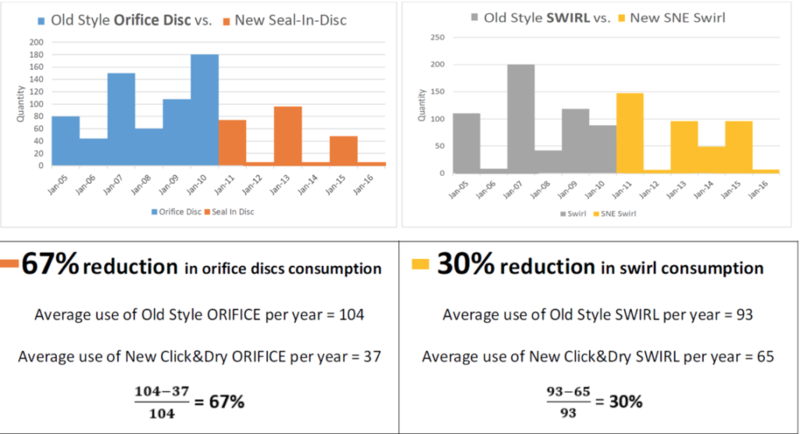 CLICK&DRYTM has improved many New Zealand and Australian dairy plants, let them find a custom solution for you.